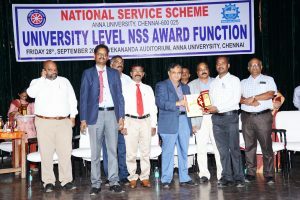 Anna University, Chennai appreciates all the affiliated engineering colleges in Tamilnadu for the NSS activities and gives award every year. 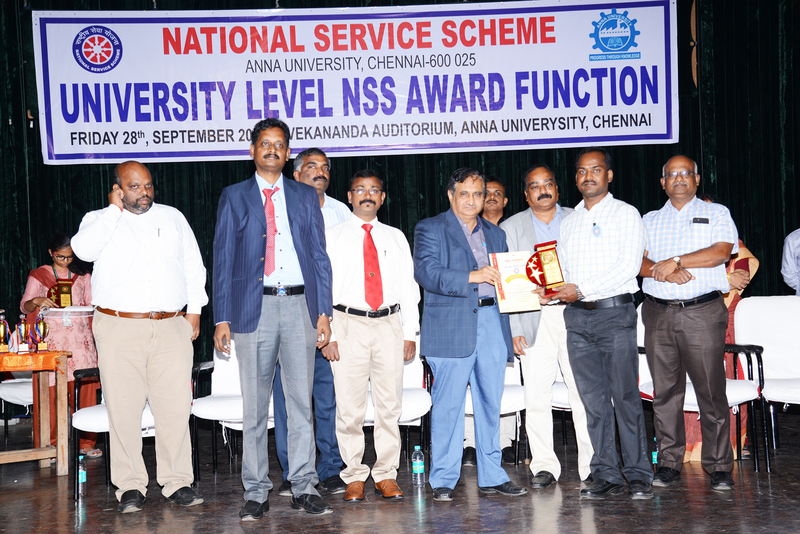 The award function for this year was conducted on 28.09.2018 which was presided over by Prof. M. K. Surappa, Vice Chancellor, Anna University and Dr.R.Ramesh, NSS Coordinator, Anna University. Sona College of Technology received two awards for the year 2017-18. 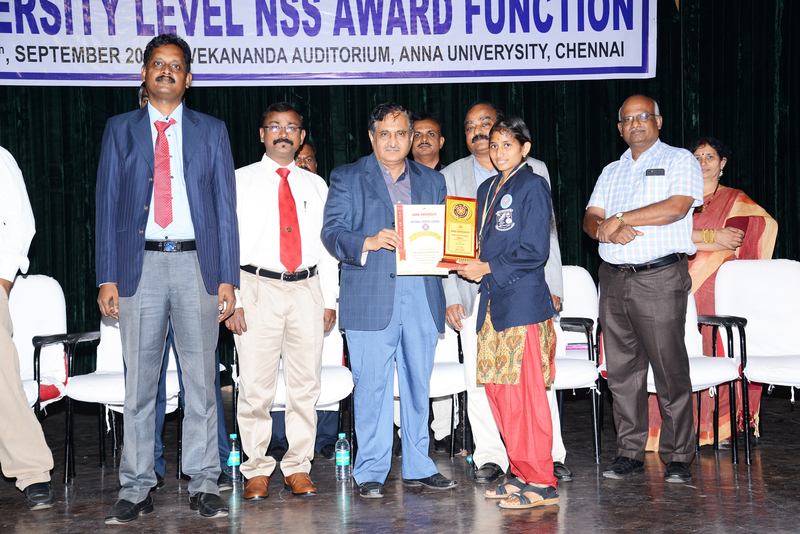 The award was given by Prof. M. K. Surappa, Vice Chancellor, Anna University. The best NSS Programme Officer award was received by Dr. P.Iyyanar AP/IT, and the best female NSS volunteer award was received by Ms.S.Soniya, Final year FT. The Management, Directors, the Principal and all the HOD’s congratulate the award winners. This entry was posted in Sona NSS News on October 1, 2018 by admin.